Extensions like Adblock have become extremely popular in recent years. Millions of consumers are used to not seeing ads while surfing the Internet on their computers but the same cannot be said for handsets. 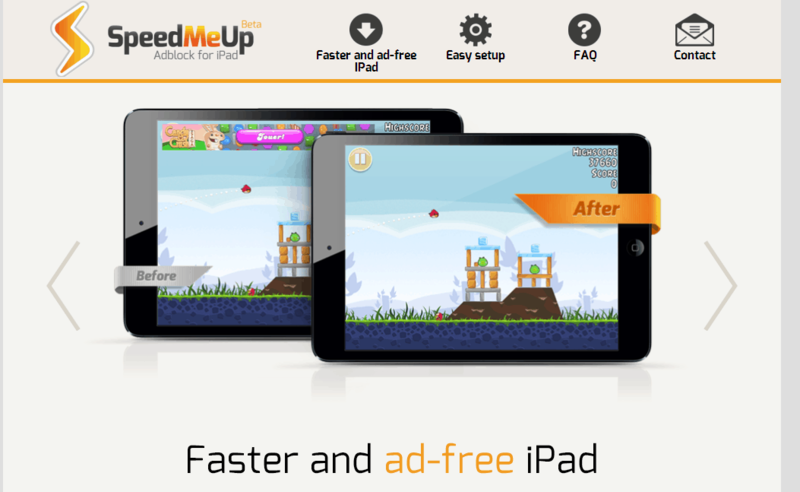 Enter SpeedMeUp, the self-described “Adblock for iPad & iPhone”, a free service that will block all ads from your iOs devices. Now, go to SpeedMeUp’s diagnostics page and check if everything works alright. If not, you have probably entered the wrong URL so enter it again and enjoy your Internet ad-free.